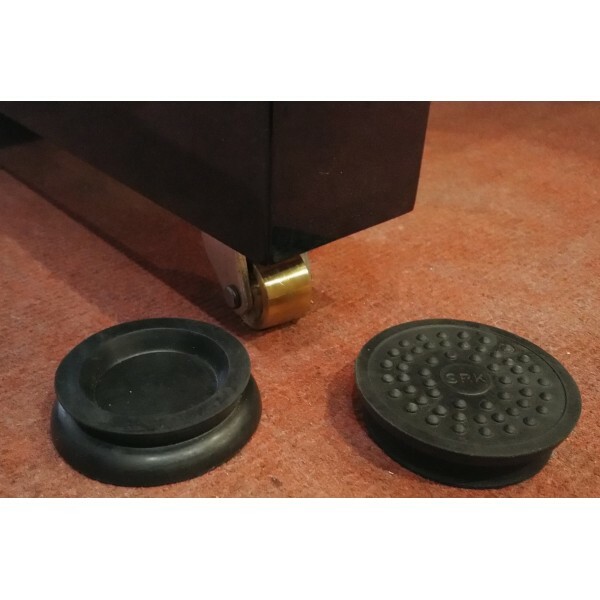 We have a range of castor cups available suitable for grand and upright pianos. These are our smallest sized castor cups, made of rubber with a fluted edge. The underside is bobbled to protect your flooring. Available in black. NB: you will need 3 castors cups for a grand piano (with single legs) or 4 for an upright.